If you’re anything like me, you’re thrilled for sunny weather, flowers and walks in the park that Spring brings. Here in Nashville it’s been exactly that and I couldn’t be happier! 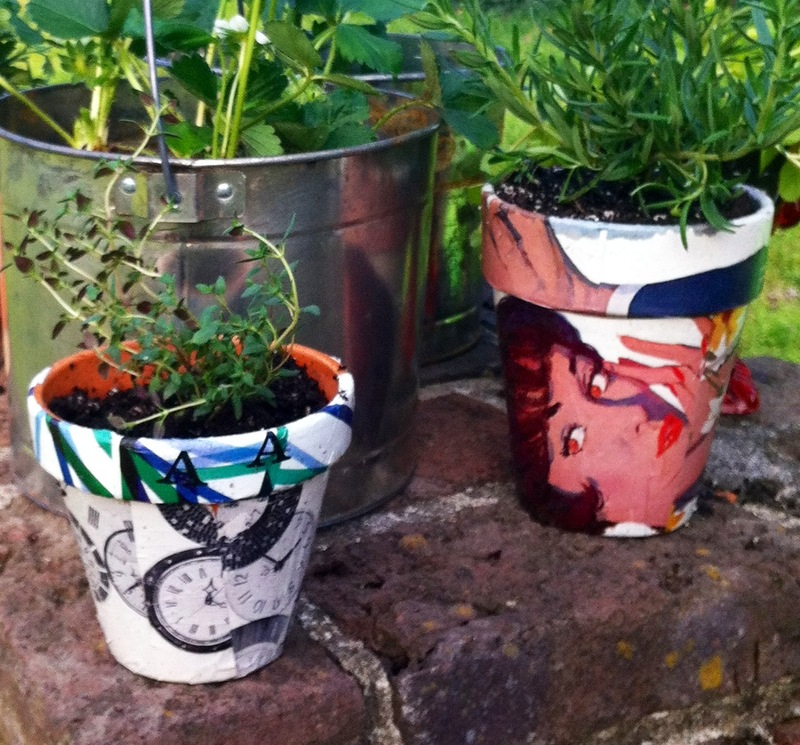 This past weekend, I spent some much needed time in the sun planting & potting fresh herbs & flowers. 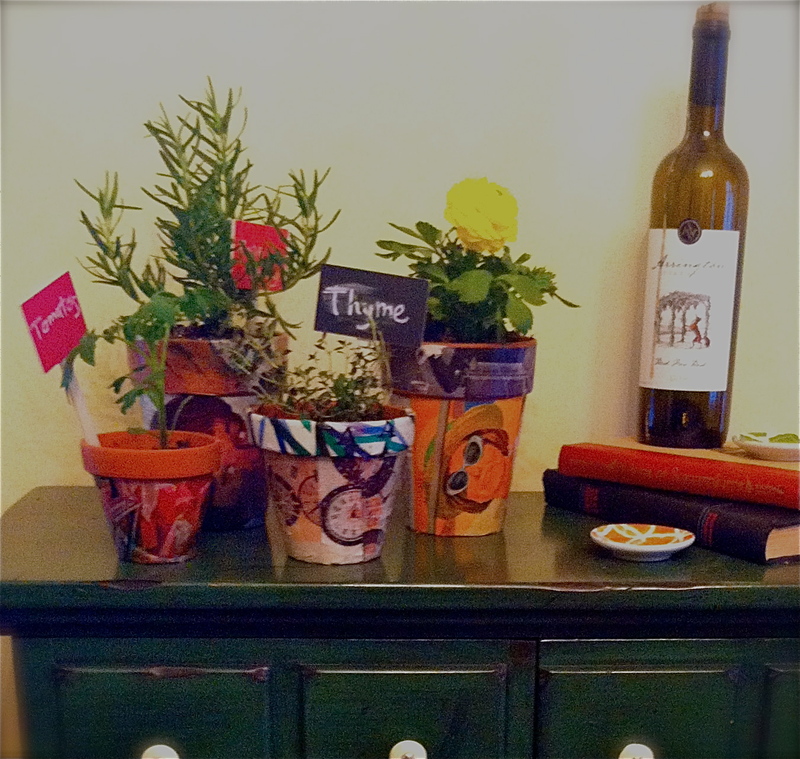 I thought it would be fun to add a little something to the clay pots I got from the craft store. It’s super easy & it’s a fun way to display these lovely Mad Men-esque 1960’s ads. Take a look at the step by step photos below. Step 1: Vintage 1960’s Ads. Step 2: Cut to desired size. 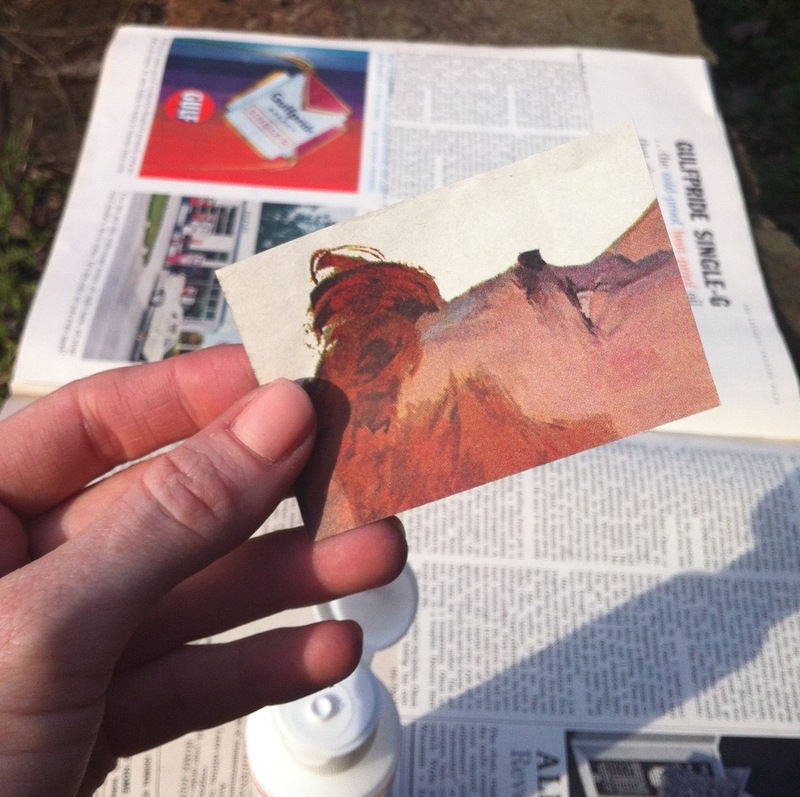 Step 3: Put a layer of glue ( I used Mod Podge) on the pot & place the photo over the glue in desired position. Put another layer of glue over the photo to seal. 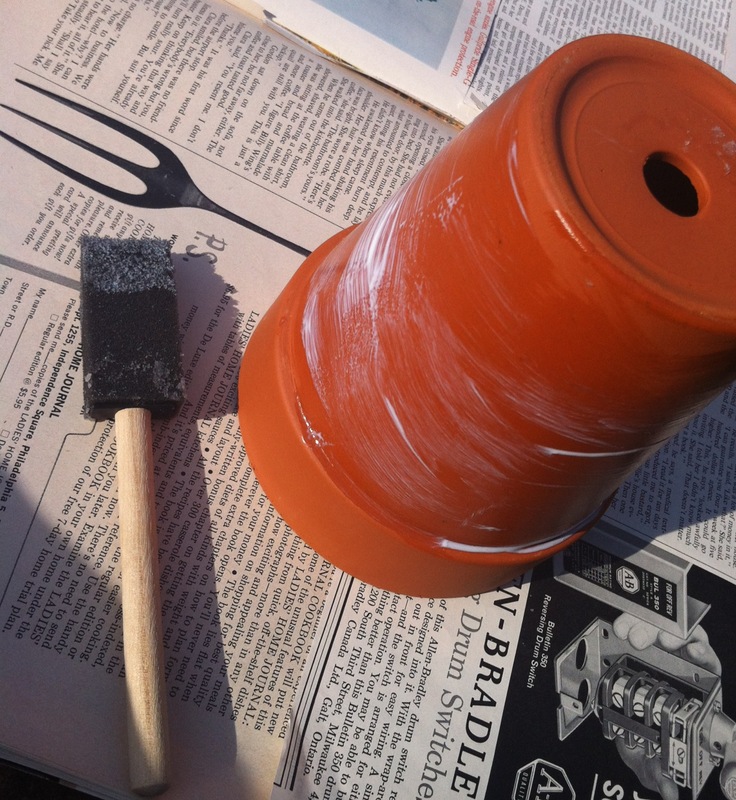 Step 4: Allow time for glue to dry & pot your plants! Voila! A lovely little vintage inspired garden! Happy Spring to you all! How fun! Thanks for sharing your clever idea. 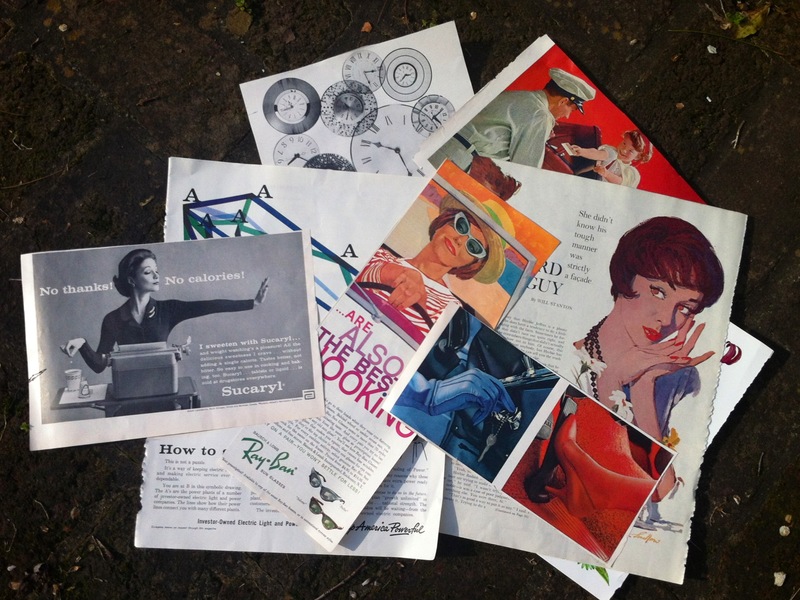 I love vintage magazine images & articles, a great way of adding them to your home, super!